Eric Johnson was born in Provo, Utah. From an early age, he could often be found sketching or drawing nature and wildlife he encountered on many adventures with his three brothers, and amusing his family and friends with figurative and caricature sketches. While attending Brigham Young University, Eric Johnson majored in zoology and minored in art, taking a particular interest in anatomy. 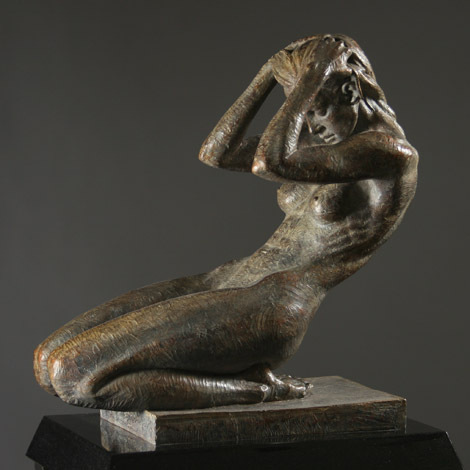 While he studied many art forms, his passion and talent for figurative sculpting naturally became the focus of his art education. After graduation, he began assisting well-known sculptor, Gary Price. Eric worked as Gary’s full-time assistant for five years, creating over sixty sculptures (including many life-size pieces) and teaching community art classes through the studio’s non-profit foundation. His five years as an assistant earned him recognition as a talented sculptor in his own right; he found himself in demand by other artists for various collaborative projects and solicited by galleries for original work. 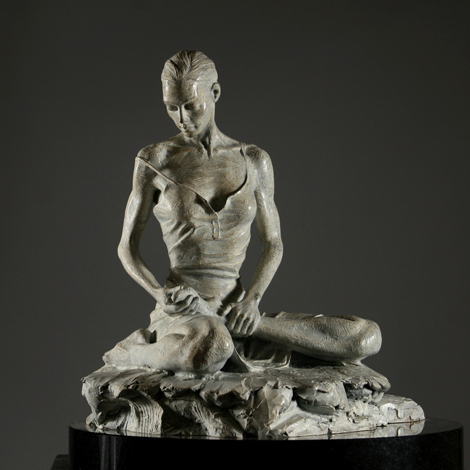 Eric was invited to Monterey in 2005 to assist another successful sculptor, Richard MacDonald. In addition to working with Richard over the last five years, Eric has also continued to collaborate with other artists to complete works of art for companies such as Harley-Davidson and Greenwich Workshop. He has completed over forty original sculptures and commissioned pieces, including an installation in the home of basketball star, Karl Malone. Eric is also consulted by museums and private collectors to restore and repair well-known original sculptures. Eric creates art that is positive and uplifting. “There is too much that is bizarre and depressing out there,” he says. “I feel a strong connection to this community … and I want to share that sense of goodness and beauty in my art and in what I do every day. 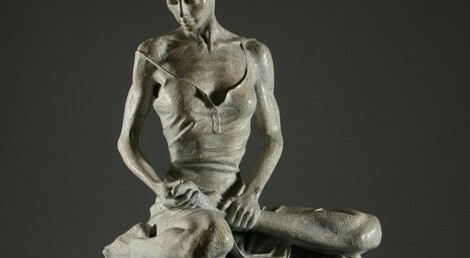 His sculptures alternately evoke joy and peace; repose and strength. Known for his ability to capture a moment’s graceful or playful gesture, Eric’s work also reveals his understanding of the body’s detailed, balanced architecture. His portfolio ranges from wildlife to whimsy, from dancers to life-size dinosaurs … each one celebrating imagination and the beauty of form. Eric’s 2010 body of work features the female spirit with refreshing talent. When he is not creating, Eric can be found making popcorn, climbing hills on his mountain bike, and (most recently) flying airplanes.